All-Conference, All-District, All-Regional, All-State in Basketball and Baseball. Drafted by the Detroit Tigers – 1985. Traded to the Atlanta Braves – 1987. Major League Debut – June 23, 1988. Played for Atlanta Braves 1988-2008. Played for Boston Red Sox – 2009. Played for St. Louis Cardinals – 2009. 8-Time All-Star – 1989, 1992-93, 1996, 2002-3, 2005, 2007). World Series Champion – 1995. National League Cy Young Award – 1996. Silver Slugger Award – 1997. Roberto Clemente Award – 2005. 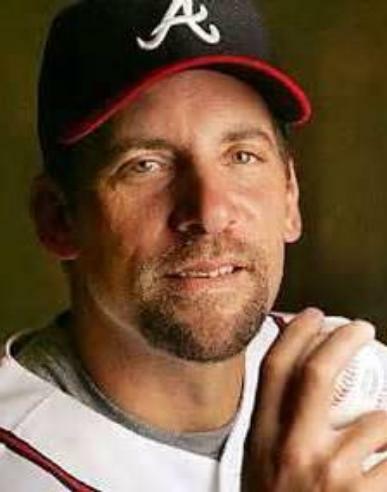 NL Rolaids Relief Man of the Year – 2002. Only MLB Pitcher with 200 Wins and 150 Saves.